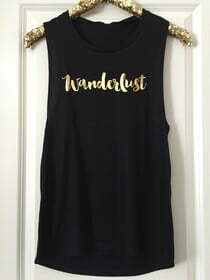 Do you have the wanderlust? This sassy tank is ideal for the girl who can't settle down. Seek what's over the next horizon! The only borders are the ones we accept.